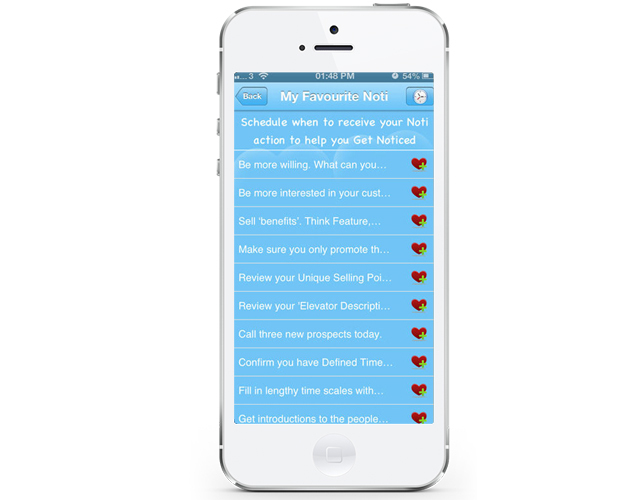 Get Noticed Apps provide practical action quotes (Noti) as notifications. They provide actions as a simple activity to help you be even better, a little at a time. 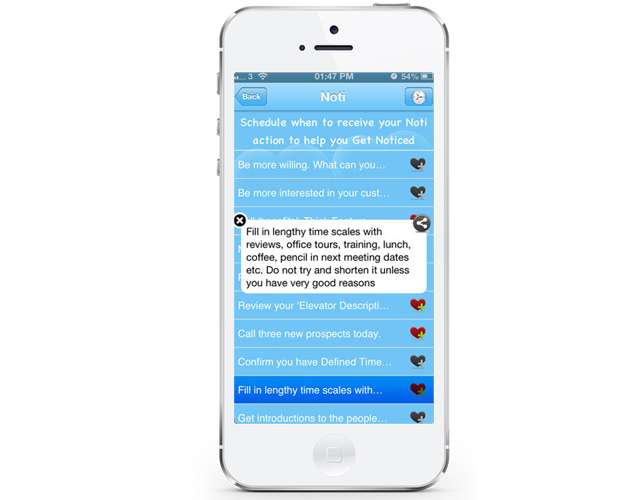 Set your Notifications on your own schedule, work on them at your own pace. These easy to do improvements will get you noticed and people will wonder why! 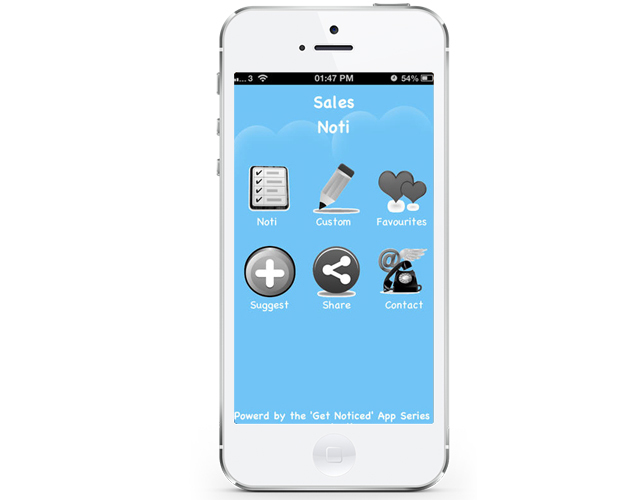 Noti Apps include; Sales Noti (Free), Motivation Noti (Free), Leadership Noti, Body Language Noti, … Noti’s are designed to give a practical guide to the skills, attitude, and activities for developing and leading successful business. The information and suggestions are given without explanation. The Noti are based on research, well known publications and well documented experiences. Detailed explanations on why the specified techniques work can be found in many sales, psychology and negotiation books, some of which are referenced within The Manual for Leadership and Business Development, ‘I’m building a Cathedral’. Everyone has their own strengths and weaknesses. Knowing what they are may be a different matter. Use the Noti apps to recognise what you can reinforce and what you can improve. Have fun! Noti Tips: Set a schedule for when you would like to be notified of your Noti action quote so that you can work on it ie if daily set it for some time in the morning so you can work on it during the day. You can set separate schedules for; the list of Noti provided, Custom Noti and Favourite Noti. Please comment on the apps, your rating is appreciated along with any issues encountered and suggestions for improvements. Known issues; When the schedule is changed, the next Noti is still skipped and the one after is sent – On it! *The iPhone version does not display a red circle on the icon when Noti are waiting. 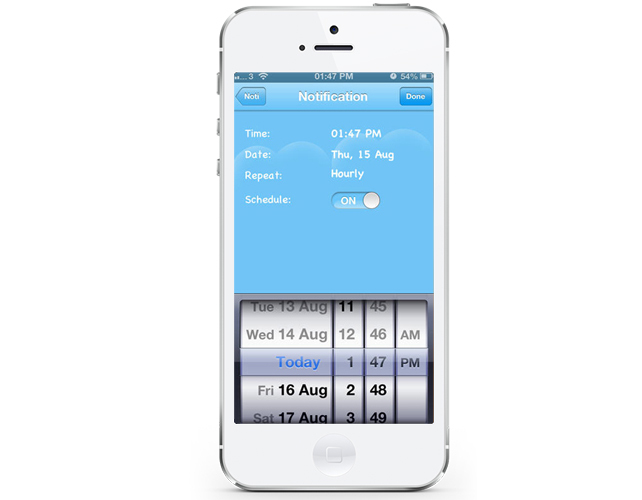 They are seen as a pop up and in the phones notification pull down – On it!